Carla Roncoli is Associate Director and Director of Graduate Studies for the Masters’ in Development Practice, a Senior Research Scientist in the Department of Anthropology and Adjunct Faculty in the Department of Environmental Sciences at Emory University. 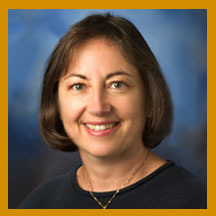 Before joining Emory University in February 2010, Dr. Roncoli was Associate Research Scientist at the University of Georgia, where she worked for 15 years with interdisciplinary research projects funded by federal and international agencies, including USAID and the World Bank. In addition, Dr. Roncoli has worked with UNICEF in Nepal and Chad and consulted for numerous development organizations and International Agricultural Research Centers (IARCs). Dr. Roncoli’s research addresses the human dimension of climate change, with a particular focus on risk perceptions, communication, and management among African rural communities. It emphasizes the need for achieving a good “fit” between scientific information and technological innovations on the one hand and local knowledge, capabilities, and experience on the other hand. For her entire career, Dr. Roncoli has been deeply committed to collaborative and participatory processes. She has spearheaded efforts to develop institutional capacities and partnerships in the Global South, particularly aimed to bridge the gap between scientists and a wide range of stakeholders, from policy makers to grassroots organizations. At the same time, her work centers on extensive community-based research to gain direct insights on how vulnerable households perceive and manage multiple stresses and how they allocate their scarce resources to alternative livelihood goals. Her research findings have informed the development of science-based decision support and early warning systems across Africa as well as among underserved communities in the United States. Dr. Roncoli has published extensively in scholarly journals that focus on the intersection of human and natural systems and her work is widely recognized and referenced in international scientific and policy circles. She is a contributing author for the 5th Technical Asssessment Report of the International Panel on Climate Change (IPCC). In her time-out she enjoys swimming, yoga, photography, and raising hens.